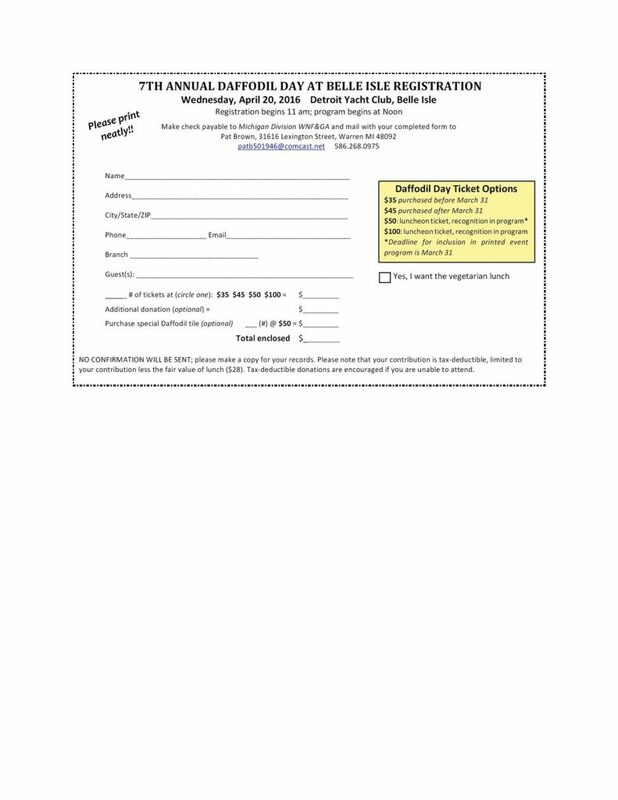 April 10 was the last day to purchase Daffodil Day tickets. Please, no “walk-ins” on April 20. New attractions have been added to Daffodil Day 2016. This year will include strolling fashion models, award winning journalist, John Gallagher, and more. To fit everything in, we will follow a tightly timed agenda with the luncheon ending at 2:00pm. Enjoy a fashion show while you dine! Fashionably clad models from the Peacock Room will stroll amidst our dining tables. The Peacock Room is the place for unique and eclectic women’s fashion in Detroit. Located across from the Detroit Institute of Arts in the Park Shelton, it is owned by Rachel Lutz. She firmly believes, “It’s okay to show off every now and then.” Peacock Room clothing and accessories will be available for sale in the lobby. Rachel is graciously donating 10% of the sales to the Daffodil Project. Visit their Facebook page: http://www.facebook.com/peacockroom. A completely new daffodil tile is available for sale. Designed by a local artist trained at Pewabic, it specifically honors our Daffodil Project. The 4”x8” tile is available for pre-order at $50. A limited quantity of tiles will be available for sale the day of the luncheon. The new attraction on Belle Isle this year, is the Rotary Club Native Plant Garden in front of the old police station. Docents will be in the garden to introduce you to common and rare native Michigan plants. Our usual annual stops at Anna Scripps Whitcomb Conservatory and the Belle Isle Aquarium will be open and staffed by docents. Follow the map below to explore and discover the locations of our mass daffodil plantings. A few daffs might even be in bloom! John Gallagher has been a journalist with the Detroit Free Press since 1987. He covers urban and economic redevelopment efforts in Detroit and Michigan. Mr. Gallagher is the author of several books including, Reimagining Detroit: Opportunities for Redefining an American City, a 2010 Michigan Notable Book award recipient, also featured on Huffington Post’s 2010 list of best social and political books. With its sequel, Revolution Detroit: Strategies for Urban Reinvention, Mr. Gallagher looks “outside the box” to find renewal projects that have worked in cities around the world. He brings us success stories of urban renovations including restoration of natural landscapes, urban agriculture, and the use of art in public places. His other books include Great Architecture of Michigan and, as co-author, AIA Detroit: The American Institute of Architects Guide to Detroit Architecture. He has just released a new book, Yamasaki in Detroit. The luncheon will include our signature Daffodil Dazzle non-alcoholic beverage, a cash bar, oriental chicken salad, rolls & butter, coffee or tea and a lemony daffodil dessert. Vegetarian option is available. Ticket are $35 until March 31 and $45 afterwards. Please reserve early, bring your friends, and spread the word for this delightful event. Near the registration table there will be an information table for garden club and garden-related activity announcements. Be sure to stop by for the latest information on workshops and garden tours. Please consider a donation above the price of the ticket. 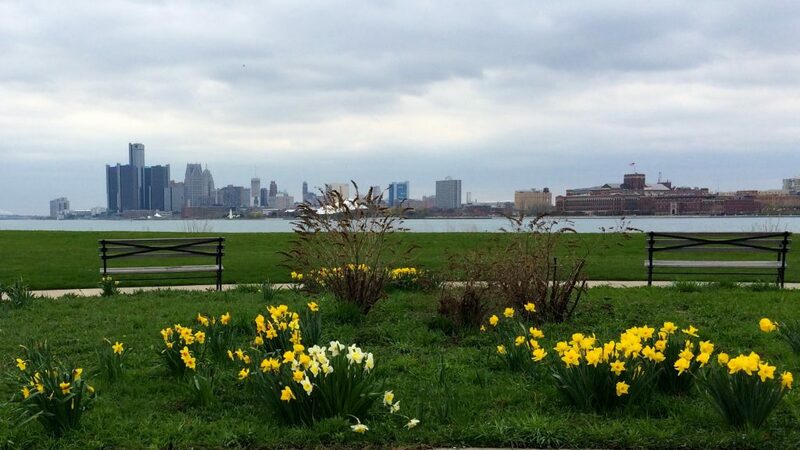 Every extra dollar buys five daffodil bulbs to help us reach our goal of one bulb for every resident of Detroit. Donors of $35 or more will be listed in our program. For more information, see the order form below. 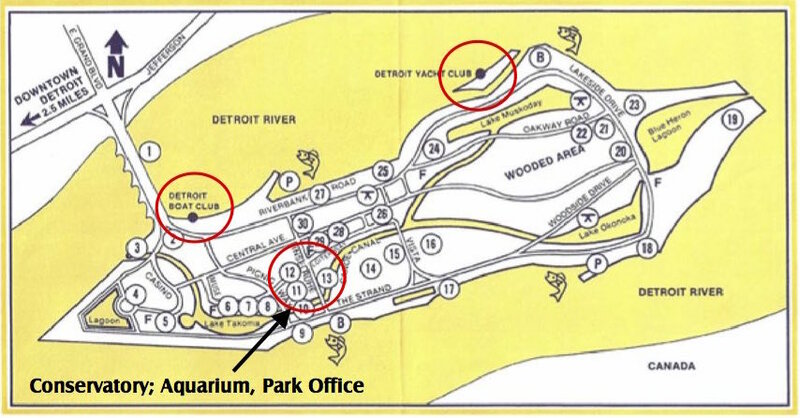 Remember, Belle Isle is a Michigan State Park and a Recreational Passport is require to enter. A Recreational Passport may be purchased on Belle Isle for $11. The Passport is good in all Michigan State Parks for one year. Rotary Club Garden is located at stop number 30. Detroit Boat Club will not be open this year.